Maturity Onset Diabetes of the Young (MODY) is a monogenic form of diabetes with autosomal dominant inheritance pattern. The diagnosis of MODY and its subtypes is based on genetic testing. Our aim was investigating MODY by means of next-generation sequencing in the Tunisian population. 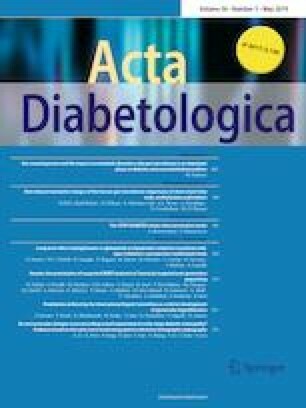 We performed a targeted sequencing of 27 genes known to cause monogenic diabetes in 11 phenotypically suspected Tunisian patients. We retained genetic variants passing filters of frequency in public databases as well as their probable effects on protein structures and functions evaluated by bioinformatics prediction tools. Five heterozygous variants were found in four patients. They include two mutations in HNF1A and GCK that are the causative genes of the two most prevalent MODY subtypes described in the literature. Other possible mutations, including novel frameshift and splice-site variants were identified in ABCC8 gene. Our study is the first to investigate the clinical application of targeted next-generation sequencing for the diagnosis of MODY in Africa. The combination of this approach with a filtering/prioritization strategy made a step towards the identification of MODY mutations in the Tunisian population. The online version of this article ( https://doi.org/10.1007/s00592-018-01283-5) contains supplementary material, which is available to authorized users. We thank the patients, their parents and healthcare professionals who participated in this study. We also thank the CSS-Mendel Institute (Rome, Italy) for the collaboration and the provision of infrastructure for this research. This work was supported by Institut Pasteur of Tunis (PCI-15) and the Tunisian Ministry of higher Education and Scientific Research (LR11 IPT05). This study was partly supported by the Italian Ministry of Health (“Ricerca Corrente 2015–2017” to S. Prudente). All procedures performed in studies involving human participants were approved by Institut Pasteur of Tunis ethics committee (Reference: 2016/19/I/LR11IPT05) and were in accordance with the 1964 Helsinki Declaration and its later amendments or comparable ethical standards.